After the Second World War, Europe needed something really magic to cheer up. This was the goal Mr De Carlini achieved with his inspiration and vision to create the most magical Italian mouthblown Christmas ornaments availab.le in the world in those days. He had a critical eye for the technique and proportion of each ornaments he would create. We feel there is a special meaning to this beautiful ornaments coming from the Soffieria De Carlini. 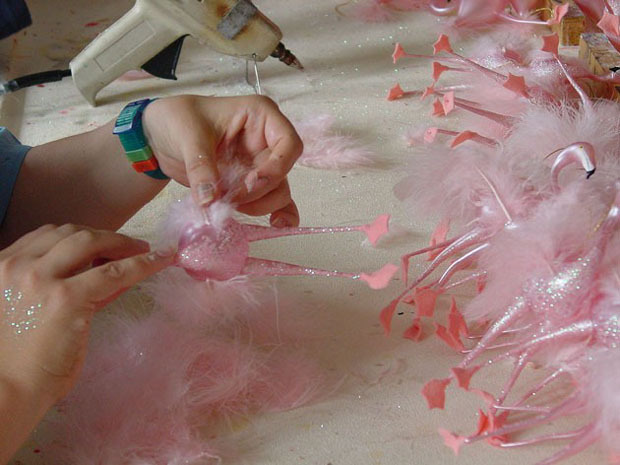 Each time an ornament is mouthblown, it gets life from the person that creates it. Once the glass has been blown the artist decorators of the Soffieria De Carlini directed by Mrs Rosa De Carlini decorate each ornament with the best possible attire and delicately hand paint each face giving the best porrible espression to the face, smile or sadness that contribute to the theme of the Italian Glass Christmas ornament that is just born in their hands. 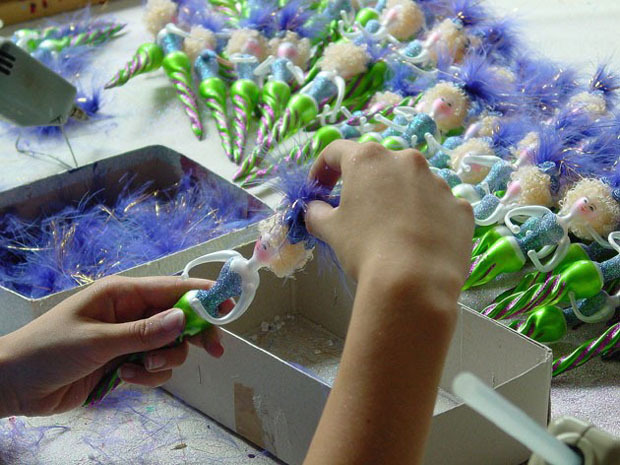 At The Cottage Shop,for over 28 years, we have had the pleasure and honor to be present every year a brand new collection of the best Christmas ornaments made in the world. We believe that the Soffieira De Carlini Italian glass Christmas ornaments are the most magical creations that will enlighten your Christmas tree every Holiday and Christmas Season and through their magical character bring you happiness each time a new collection arrives at your home in the same way we enjoy and find ourselves in Winter Wonderland each time we create a new collection with Luca, the third generation of the De Carlinis. We are happy to let all our collectors friends know that the tradition continues in the artistry of the Italian fashion and decor with the fourth generation of the De Carlini Family. 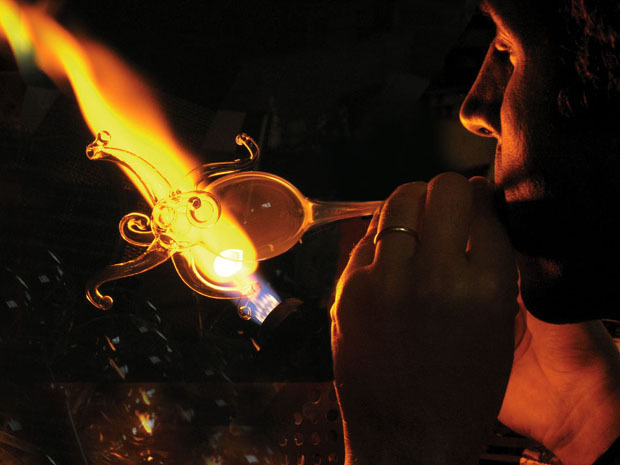 Here is a brief revie of the creation process of the marvelous De Carlini Italian Glass Christmas Ornaments for you to appreicat the detailed work that goes into each one of them. 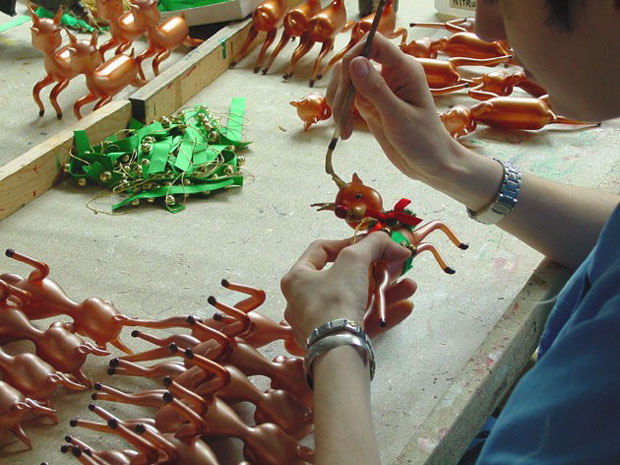 Once a new De Carlini Italian glass Christmas ornament is born, it has to be hand painted, dressed and decorated. and its radiance after the final touches. Christmas tree glass ornaments as we know them today date back to the beginning of the last century. Each Christmas, we decorate our Christmas trees with lovely Christmas ornaments. At The Cottage Shop, the De Carlini Italian glass Christmas ornaments have been part of our Christmas tradition since 1985 and every year we are pleased to present new styles for the serious collector of one of the best and most artistic Italian glass Christmas ornaments in the world today. The Soffieria De Carlini has a real name to identify its art: the art of the blower. The perfect combination is found on each De Carlini Italian Glass Christmas Ornament: the artistry of the shapes and the magic and elegance of the decor. 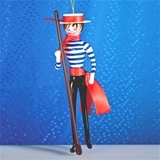 According to the theme of the De Carlini Christmas ornament, each ornament is decorated individually by hand and , if needed, following historical research to find the best fabrics an recreate the most elegant outfits for these art objects thatr will give magic and life to your holiday season. At The Cottage Shop, we are pleased to present our Exclusive Limited Edition De Carlini Italian Glass Christmas ornaments, most of which are signed and numbered. Each De Carlini ornament comes im a box with a certificate of authenticity from the Soffieria De Carlini.